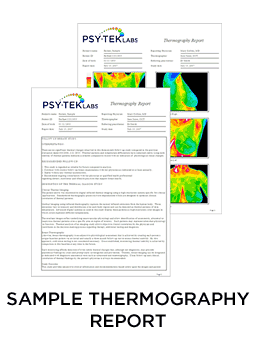 Obtain printed documents, reports, etc describing the client’s device, process, etc. Are we the right group to perform this research? Informed sponsor of any change in procedure from the accepted proposal including delays and new costs as soon as possible and get authorization to proceed in writing or project stops until approval is obtained. Deliver final report and ask for final payment. This process is simplified, depending upon the complexity of the project. For example, if PSY-TEK completes a feasibility or pilot project with few subjects, we will use a simple memo of understanding (MOU), which will serve as the contract, and include definition of the project’s scope, its proposed solution and pricing (steps 4 and 5 above will be included in the MOU). 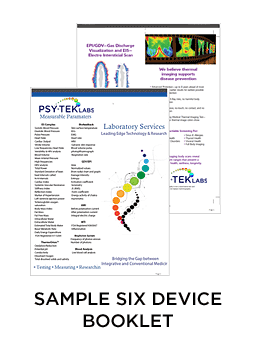 PSY-TEK Labs proudly offers several devices that non-invasively monitor several aspects of the health condition of research subjects.